The practice of elder law developed as people started living longer lives. Many of the issues faced by seniors today were not a concern in the past when the life expectancy was much shorter. Elder law attorneys are knowledgeable about things such as Medicare and Medicaid, nursing home regulations and contracts, disabled adult guardianship proceedings, advance directives, and long-term care planning. One of the most common situations deals with healthcare coverage for illnesses that are not covered by Medicare or private healthcare insurance policies and the individual doesn't know their options. This is not a time in your life to be looking for answers solely on the internet or by word of mouth. Getting the facts from an experienced attorney can make all the difference in the world. An attorney experienced in elder law will be able to plan for incapacity, coordinate public and private resources, locate the appropriate type of care, and ensure a senior's right to quality care. A skilled attorney can do a lot to avoid institutional care if it still can be avoided. The Alzheimer's Association estimates approximately half of the population over age 85 will deal with some sort of dementia-related illness which will render them unable to care for themselves. The cost of long-term care is a growing concern for the aging population. Assisted living facilities and nursing homes can cost $5,000-10,000 a month, which could quickly drain a person's savings. Long-term care insurance policies are available but the cost of the policy is prohibitive for many seniors or they are no longer eligible. Many state and federal programs work to provide senior benefits but the details are complicated and difficult to understand. Elder law attorneys can explain available programs, qualifications, and ramifications. 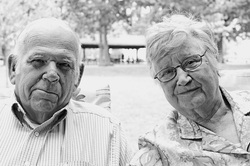 Uncovered medical expenses present a large problem for many seniors. 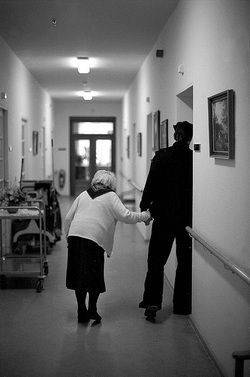 Many seniors are concerned about becoming a burden on others and wish to avoid it. There are two types of planning services: Pre-crisis planning and Crisis planning. Pre-crisis planning is done in advance of a crisis situation when steps can be taken to eventually help avoid institutional care, not become a burden, and protect the elder's assets. Crisis planning occurs after the fact and takes a different approach to deal with the same issues. Simply having a fundamental understanding of the Medicare and Medicaid laws is not enough to qualify an estate planning attorney as a skilled elder law attorney. In addition to probate and estate administration, education in areas of disabled adult guardianship, social security, veterans affairs, and litigation is essential.